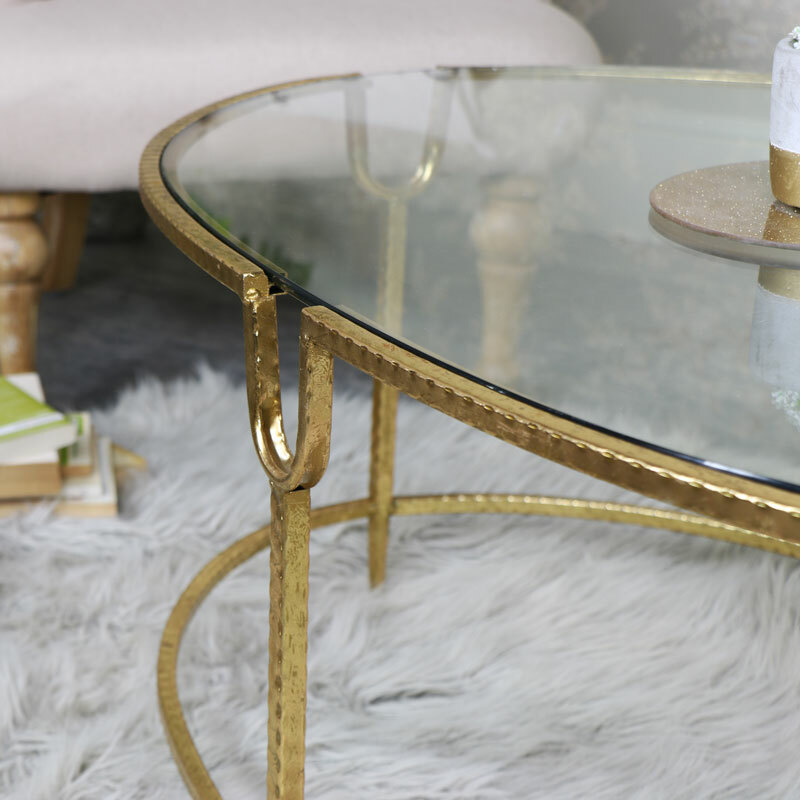 Transform your living space with this fabulous coffee table. 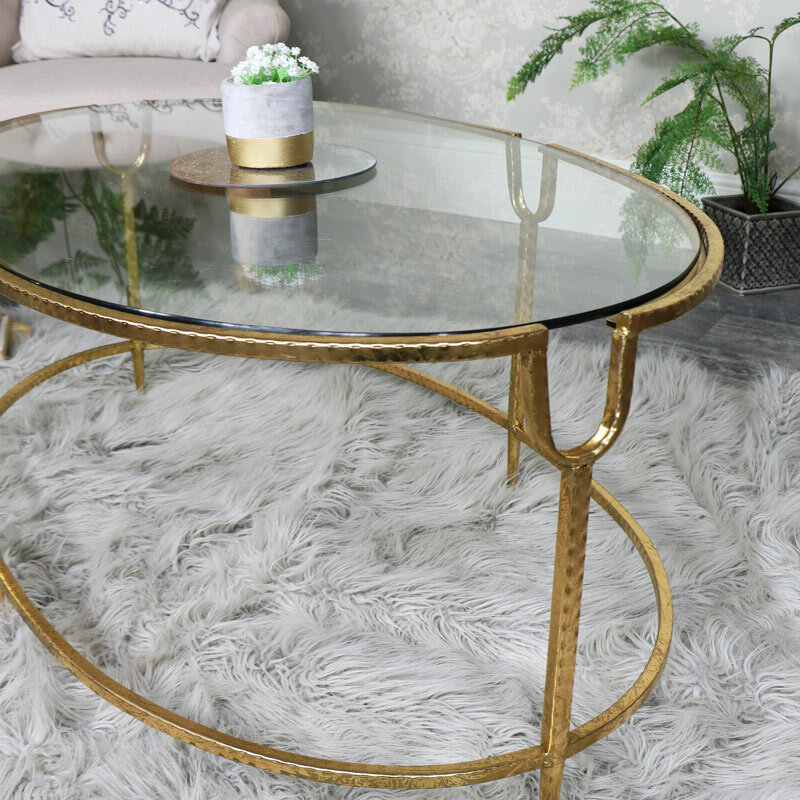 Graceful and elegant with an oval shaped, clear glass top set in a dimpled gold frame, perfect for taking centre stage in your living room. This coffee table will fit in seamlessly with a traditional, contemporary or modern styled decor. The simplistic look and gold colour will fit in with many colour schemes and add a great look. The frame of the table features a dimpled look that adds to the fantastic look of the table, complete with tempered glass for safety. 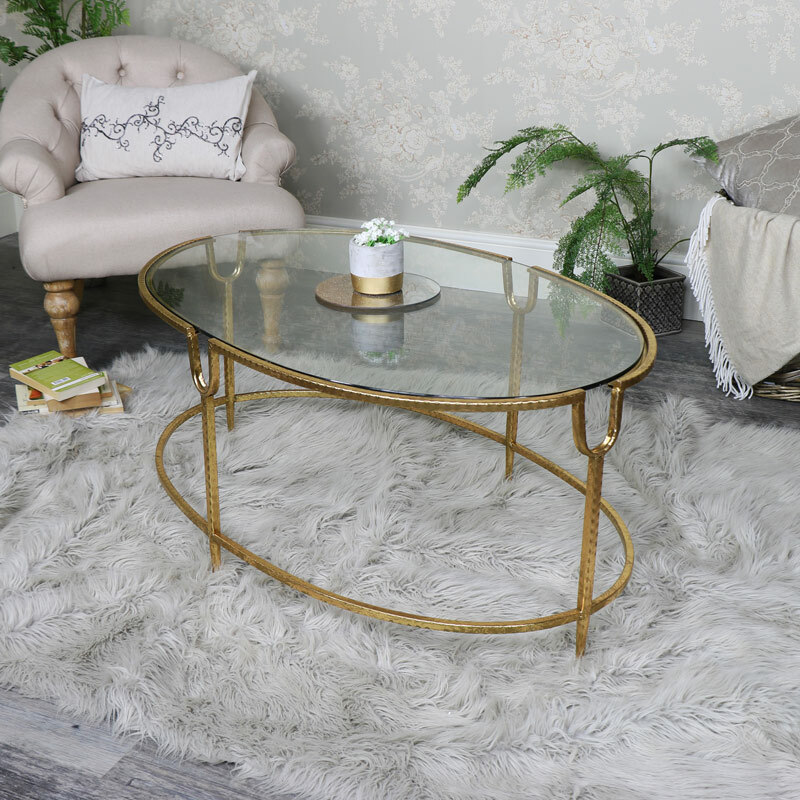 Transform your living space with this fabulous coffee table. 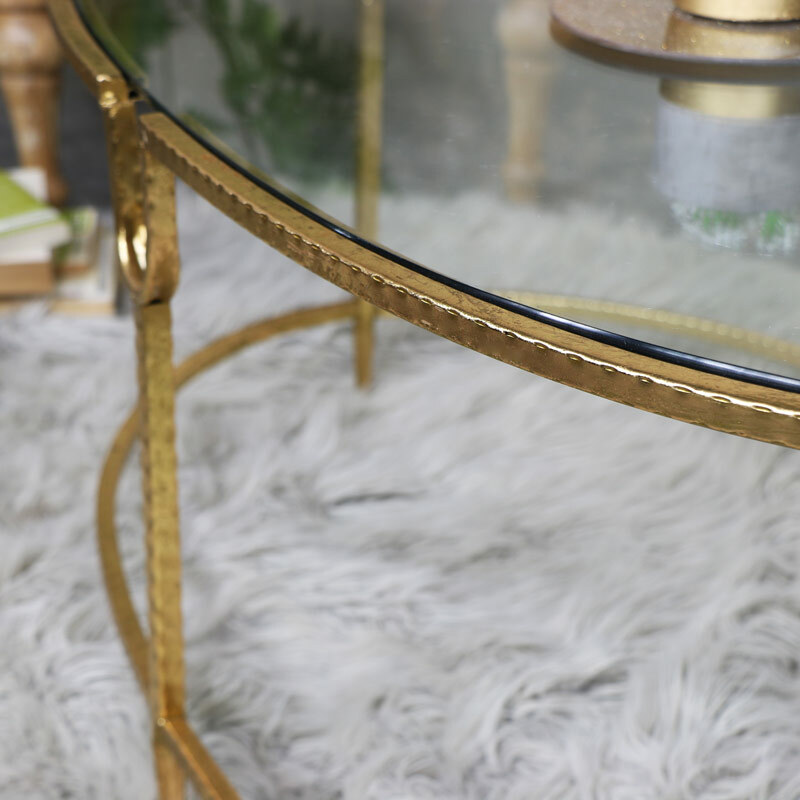 Graceful and elegant with an oval shaped, clear glass top set in a dimpled gold frame, perfect for taking centre stage in your living room. This coffee table will fit in seamlessly with a traditional, contemporary or modern styled decor. The simplistic look and gold colour will fit in with many colour schemes and add a great look. The frame of the table features a dimpled look that adds to the fantastic look of the table, complete with tempered glass for safety. Constructed with a sturdy metal frame, finished in a gold colour with a clear glass surface. The table requires minimal assembly with just the glass top to position in the frame. 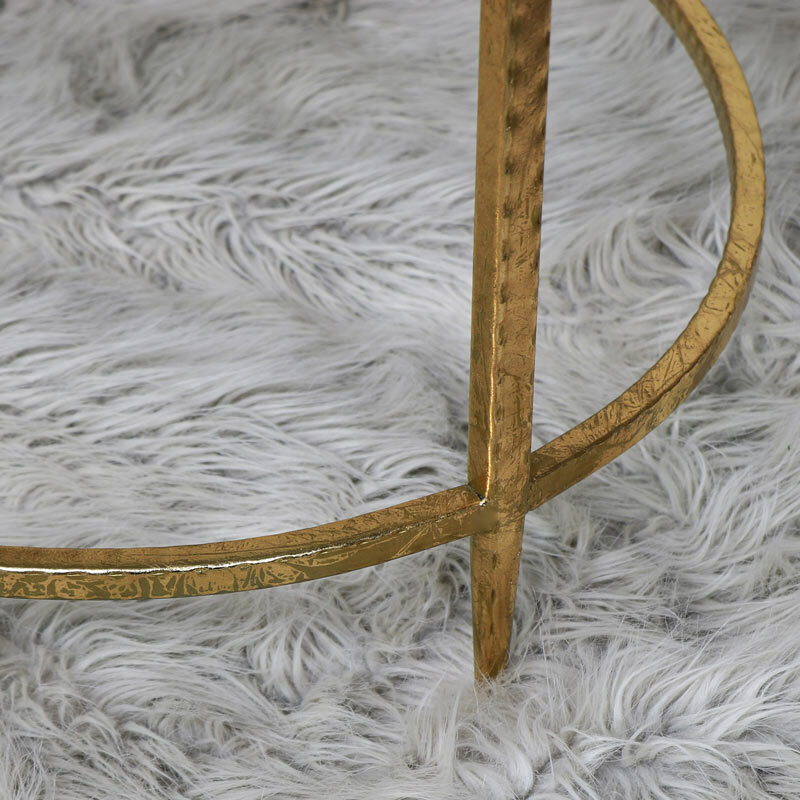 We have a simply sublime range of coffee tables and side tables. A great choice of colours and styles with something to suit every interior and colour scheme. The table requires minimal assembly with just the glass top to position in the frame.